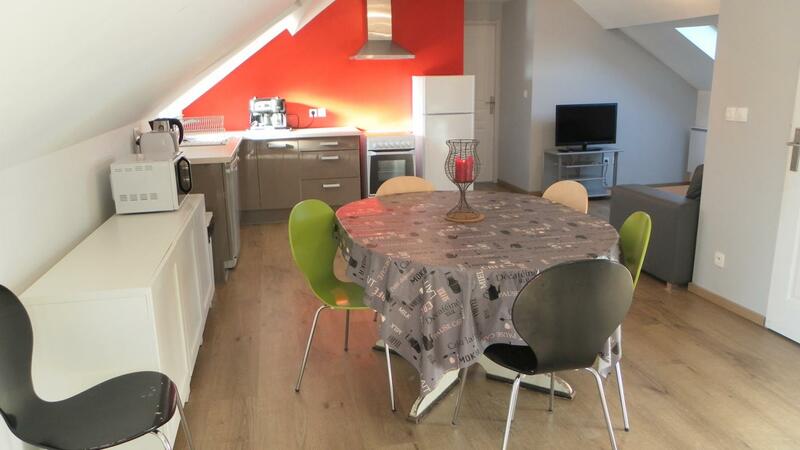 1st floor apartment near Assevillers motorway services and railway. Large open-plan living room with lounge area (TV, sofa bed) and fitted kitchen (microwave, dishwasher). 2 bedrooms (double bed) (2 single beds), shower room/WC. On landing: tumble drier, washing machine.|Enclosed parking on the property. Beds made on arrival. Optional cleaning. NO pets. Cleaning materials available. WIFI Internet access. Outdoor furniture, BBQ.